Oasis’ active traffic, even in the face of an ongoing superhuman turf war, has led to some fantastic vehicular highlights. In a match between Detonator Gold and Hong Kong Attitude in the ongoing Overwatch Pacific Championship, pro player ManGoJai learned the hard way that you shouldn’t jaywalk. 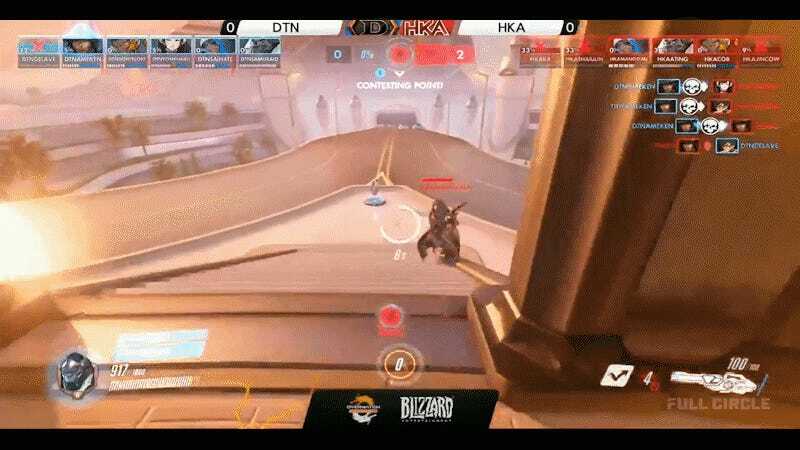 With DTN’s SamuraiD bearing down on him, ManGoJai on the immobile healer-sniper Ana was between a rock and a hard place. 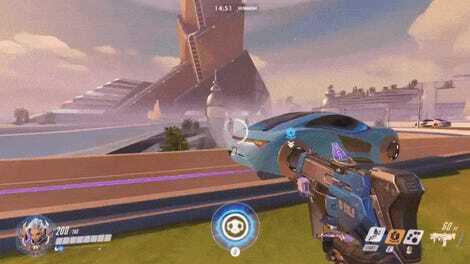 Clearly trying to get away from an enraged Winston, he backpedaled further and further, and SamuraiD pressured him even harder into the road. Not until it was too late did ManGoJai notice the white hovercar bearing down on him. Hong Kong Attitude would go on to win the match, however, gaining back some dignity and staying 3-0 in the standings, against Detonator Gold’s 0-3. Round robin play for the Taiwan Overwatch competition will continue into July, where the winner will get $98,400 in prize winnings. Look for ManGoJai to steer clear of roadways on Oasis leading up to the finals. Freelance writer, Dota enthusiast, Texan. How Many Gokus Are In Dragon Ball FighterZ, Exactly?